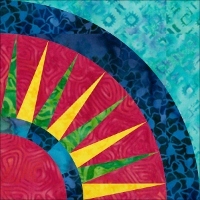 Fabrics That Care is part of a movement to improve the eco-friendly aspects of handmade batiks. 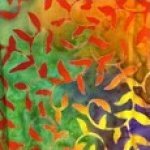 The company emphasizes creation of their batiks with a minimum use of wax, chemical dyes and bleaching agents that can harm the environment. Their process also conserves the use of water in their batik process. Fabrics That Care is raising awareness of the health & safety concerns of workers exposed to potentially hazardous substances on a daily basis.